If you’re like many of our clients at VAI, you’ve never before hired anyone else for your business. Making that choice can be daunting. Here are 15 critical items to get answers to for any potential hire… before the hire. 1) Is she available the number of hours you currently require? If you intend to expand her responsibilities as time goes on, will she be able to expand her hours for you as well? 2) If you work in a way that requires phone conversations or other tasks that must be synchronized to a specific schedule, what times do you require and is she available to carry out those tasks during that time frame? A VA in a different time zone than you can be an advantage if you want to wake up to a clean inbox or need non-standard hours. Even if you need standard US work hours, a time zone difference may not be an issue at all. A skilled VA will be able to seamlessly bridge the time zone gap. Ask her what her strategies are. 3) Does the VA have the skills necessary to take care of the tasks you need done? 4) Does the VA have experience in your industry? If she does, that’s a big plus. If she doesn’t though, that not necessarily a reason to look elsewhere. It could be advantageous for your budget to hire a less experienced (but capable, of course) VA who will learn on the job. The tradeoff is that you will need to budget more time into your schedule for training, patience for the learning curve and pay her to learn different applications independently. However, this is a sound investment – a few hours of your time in training a VA will pay off in endless dividends once the VA can take this work off your plate completely. 5) Will you need your VA to manage other members of your team? If so, does she have proven management and delegation skills – or do you have reason to believe she’ll succeed in those areas? How is her communication ability – spoken and written? 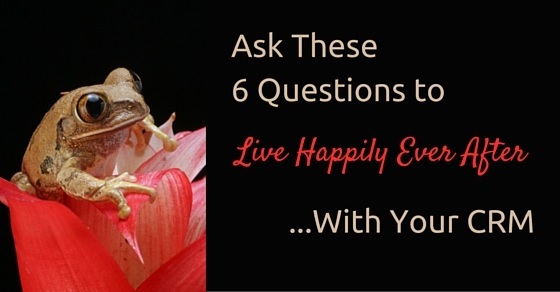 6) Do your personalities work well together? A huge advantage in working with a VA company like VAI is that should your working relationship be unsuccessful, you have the backup of a staff of other potential virtual assistants. Still, getting used to each other and setting up systems is work and to keep the flow going, you should aim for the person you hire to stay with you as long as possible. During your interview, if everything lines up okay but you find there to be something itching at you about her personality, don’t ignore that. 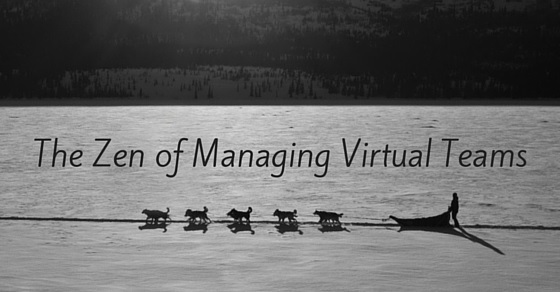 A virtual, working relationship closely parallels a real-life working relationship. Annoying is annoying. We get it. 7) What software programs are a must for working with your company? Are you in need of potentially non-standard computer programs? VAI demands that all virtual assistants they hire have a certain minimum of software, but does that cover your needs? Some assistants may have more specific programs available. 8) How do you want to communicate with your VA? Skype? Email? WhatsApp? Or the good old-fashioned phone? Check how your potential VA can and does communicate with her clients – and make sure that’s up your alley. 9) How much can you spend on a VA per month? Do realize that “you get what you pay for” is true more often than not. A VA who costs $10 an hour will usually have a skill set on a lower level than a VA who costs $26 dollars an hour. At the same time, if you don’t have $26 dollars an hour, then you don’t. And you’ll have to see if you can get by with the lower skill set, or if it makes more sense to hold out on a VA until you can afford a higher level VA.
10) Do you prefer a VA agency or an individual freelancer? An agency may be more expensive, but it offers a larger pool of candidates, administrative guidance, and whom to talk to if things aren’t going as expected. An individual VA is often less expensive, but less of a safety net for you. 11) Do you need someone who will take the tasks you send them and follow your instruction to the letter – or someone who will take initiative, and help you with ideas and brainstorming? 12) Do you see your need for a VA as only for a few weeks or months? Or do you want to hire someone who could be with your company for years? 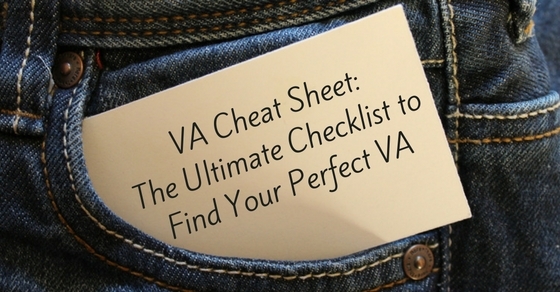 Especially if you have long-term hopes, check what your potential VA’s plans are. Have they made a career out of being a VA? Or is it a way to make some extra money while they’re a student or between jobs? 13) How do you know you can trust your VA? More often than not, VAs have the keys to the castle – access to your email, website, credit card number, passwords, client information… That’s a little scary. What criteria do you need to fill before you’ll feel comfortable trusting your VA with sensitive and personal information? References? How many? At VAI, we put all our VAs through rigorous screening and reference checks before we consider hiring them. 14) Do you like what you see on your VA’s personal social media accounts? 15) Is she comfortable with and enthusiastic about your business? You’re building a team to take your business to better places, so you need someone who is going to take that leap up with you. A dead weight will only weigh you down. A good match of enthusiasm is vital. Whether you’re planning to expand your business or just give yourself some time to breathe, we have confidence that with guidance, you’ll make the right choice. Our team is always happy to help you check the boxes on your dream list for a virtual assistant. Be in touch here to find out more. 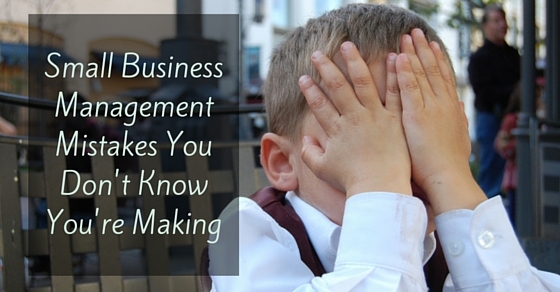 Are you making management mistakes that are damaging your business? Small business management is complex and managers usually have multiple responsibilities to keep up with. 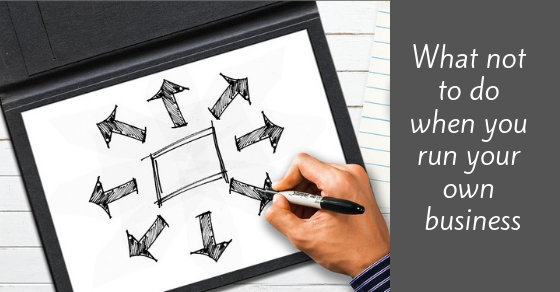 While everyone makes poor managerial decisions at one time or another, recognizing and learning how to avoid the most common management mistakes is important for anyone in a managerial position. Policies and goals are important for every business, but putting these things ahead of your employees could affect your business and you could lose key employees. Be flexible. When policies need to be bent or reviewed, brainstorm reasonable solutions to satisfy each party. Today’s business world is rapidly changing, which means it’s crucial to be open to a new way of doing things. Furthermore, examine your current goals and expectations, and make sure they are realistic. Communication is key in every relationship. Make sure you are explaining specific projects or tasks clearly, and answer any questions. Your staff can’t complete a project if they don’t understand what’s required. Know your staff and delegate work effectively. Be open and honest with your team, and ask their opinions – it’s a sign of strength and not weakness to consider the opinions of others. Your staff will appreciate it and be more invested in your success. Communicating clearly also means listening to your employees. Many managers listen without actually hearing what their employees are saying. To manage effectively, it is vital to understand your employees’ needs and concerns. Embrace positivity. Managers who only focus on the negative aspect of situations without mentioning the accomplishments of their staff create a negative, damaging workspace environment. Your employees will become unmotivated and resentful. In every situation, look for at least one achievement to compliment employees on. Micromanagement also creates a very negative atmosphere. Don’t dictate every detail and obvious step your employees should take. You hired these employees for a reason. Trust them and allow your employees to have the space and flexibility to reach their fullest potential. Be accountable! Being able to admit your mistakes is an admirable trait. Taking responsibility is part of being in charge. From an employee’s point of view, a manager who steps up and displays the confidence to admit his mistake makes him more relatable. That being said, do make a concerted effort when it comes to your own personal performance. You can’t expect your staff to meet your expectations if you don’t. Be the example, not the exception. Understanding common management mistakes and how to avoid them doesn’t come naturally for most managers. Being proactive and taking the time to consider these potential blunders is a wise investment. You as boss, manager or CEO of your company should be periodically re-assessing the utilization of your virtual assistant. Are you taking advantage of her abilities efficiently to the betterment of your company as a whole? Fortunately, the signs that you may be under-utilizing your VA are fairly simple to recognize. Track your time for a day or two. If you’re still spending a huge chunk of your time taking care of the peripheral tasks of your business, especially if it’s to the detriment of time used in your specialization, you’re underutilizing your assistant. You’re there to perform in your areas of expertise. She’s there to take care of the rest. 2. You’re using your VA for only about an hour a week. Most VA providers offer plans starting from/require a minimum of ten hours a month. There’s a reason for that. If you went through all the effort to hire and train an assistant, surely you intended to unload more than a single hour of work a week. Think back to the lists of delegate-able tasks you wrote before you hired your VA. What items have you not yet handed over for her to take care of? 3. You missed your spouse’s birthday. Oh, dear. Now, you’re in the doghouse. You haven’t handed your calendar over yet? 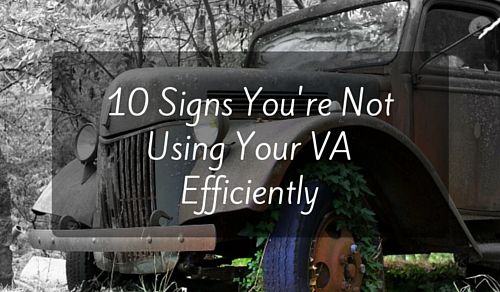 You may be underutilizing your VA! Have her send you weekly reminders of all these must-not-miss occasions. If you prefer not to share all your personal appointments, there are ways around that. Numerous online apps are available that can set up your personal and business appointments in a manner that shares them with your VA, while maintaining privacy for your personal time. There are options; you simply have to make this a priority. 4. Your clients are complaining you haven’t responded to their emails. Unless your client is your favorite film star, politician or other celebrity, why are you still writing correspondence emails? That’s one of the reasons you hired a VA. Hand it over! 5. You are falling behind on your business plan. As a business owner, you drew up a list of goals and how you intended to reach them, including a timeline. If you’re not hitting your goals on time, you need to figure out what is causing this delay. Make a list of all extraneous issues that are taking up your time. Now, delegate. What can be delegated? 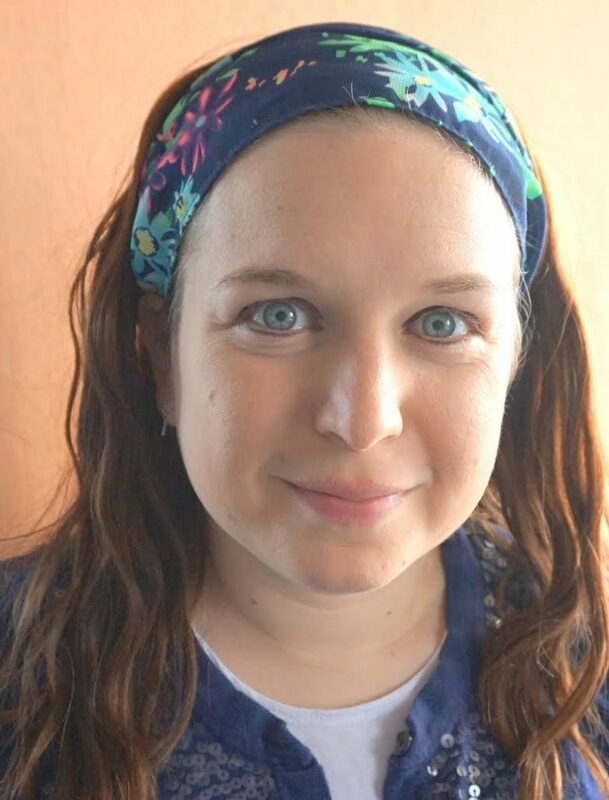 Emails, scheduling, bill paying, making appointments (even your own doctor appointments), travel arrangements, blog writing, SEO, social media, market research, household maintenance and so much more can all be handed over to other people – mainly to your VA, who can do or coordinate almost anything. She’ll write, she’ll call, she’ll research… and while she won’t clean out your gutters, she’ll find someone who will. 6. You didn’t pay your bills on time. There’s no reason under the sun, or at least no reason at VAI, for you to receive tardy notices on your utilities, memberships, subscriptions or dues. Are you missing incoming email reminders? Do you need your calendar kept up? Toss this at your VA and she’ll have it all done on time, every time. 7. You have no (or insufficient) presence in social media. Social media is where it’s at in almost every market today. Even to publish an ink-on-paper book, an author needs to establish an online presence to be taken seriously. Social media can oscillate from being an intimidating monster to being a king-sized time sucker, depending on your approach. Give your VA a goal and a time budget and see your name, reputation and client base take off. 8. You’re embarrassed to date your blog posts because they are so rare. You have an amazing business and nothing about it should embarrass you. Post regularly, on time and proudly with your in-house, virtual writer! 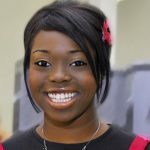 VAI has a number of very talented and experience blog writers. If you choose to tell your readers that you have another writer out there, that’s your business, but they never need to know. We write your material in your voice. Many of the biggest names out there do exactly the same thing. 9. Your clients forgot who you are. If clients were happy with your service but can’t remember who you are, they won’t be repeat customers. 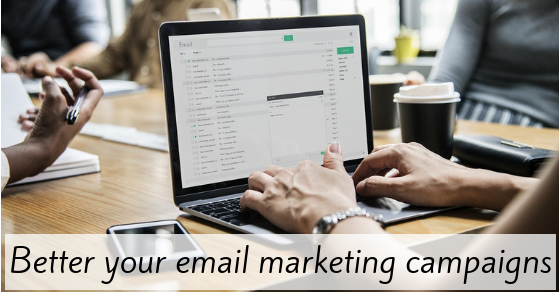 We have VAs with extensive experience at keeping your customers in touch, be it by putting together e-newsletters, establishing and updating CRM (Customer Relationship Management) programs and/or through sending holiday cards and referral gifts. It isn’t your specialty, so get it off your mind by throwing it to your VA. She’ll catch it and run. 10. You feel like business expansion is out of your reach. So let’s say that all the above items are under control. You’re a delegating champ, your virtual assistant is busy, your business is in touch, connected and recognized. Congratulations, but that’s not all there is to it. A business should grow. Growing a business requires its own research in a number of directions, as well as potentially bringing in new staff to your team. A VA can help find these people, from advertising the positions to narrowing down a short list as per your specifications… right up to conducting the preliminary interview. Expansion IS within your reach when you have a great VA.
You already own a successful business, so take the pride you have richly earned and apply it to your future with your VA’s numerous paintbrushes. You would expect to see a car-driving, contraption-building monkey in the middle ring of a 3-ring circus. But Sylvester McMonkey McBean should be speaking at Content Marketing World or New Media Expo. While a Sneetch and his money may be easily parted, this monkey shows more marketing skill than most in laying his hands on the combined wealth of the entire Sneetch beach. It’s really hard to convince someone that his life is incomplete without your product or service. Creating a need where none exists, if possible, requires lots of time and budget to spend on advertising. But if that same someone feels his life is incomplete, and you can show him how your product or service will fill the gaping hole – well, who needs convincing? Filling an existing need is infinitely easier. The Plain-Belly Sneetches were convinced they had a serious problem. A stranger zipped up in the strangest of cars. Not only did they feel their lives were incomplete – they were suffering a deep societal depression. Talk about a problem crying out for a fix. Get people to notice you. …A stranger zipped up in the strangest of cars. Even if you have the perfect answer to the world’s problems, if you can’t get their attention, they’re never going to know. Richard Branson, CEO of Virgin, is the master of marketing stunts that draw attention, from driving a tank down 5th Avenue to launching Virgin Cola, to bungee jumping off the roof of a hotel casino in Las Vegas. While McBean’s red shoe-shaped car doesn’t have quite the presence of a tank, it certainly made the Sneetches snap out of their funk and take notice. Shape what people think about you. You thinking that wasn’t an accident. I shaped it. In order for you to attract potential subscribers and solution-seekers, you have to shape what people think about you. And it has to be very, very specific. McBean knows this. Knows it well. How does he introduce himself to the Sneetches? “I’ve heard of your troubles. I’ve heard you’re unhappy. Catchy. Specific. Resonates with his moping audience. And I bet there aren’t many Fix-It-Up Chappies driving around on them beaches. Use the words your target audience uses to describe their problem. Why should your product engineering team NEVER, EVER, EVER be the ones to write your marketing copy? Because their minds are filled with the jargon (excuse me, the “correct terminology”) of the industry. The only problem is, that’s not what the customers call it. That’s not what they type in when they search on Google. That’s not what they’re yearning to see when they hit your landing page. 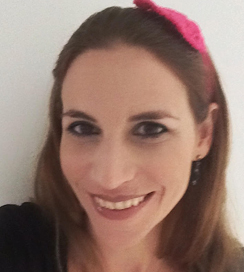 Dov Gordon of the Alchemist Entrepreneur has a powerful exercise for writing on-target copy. Imagine your ideal customer is sitting with her best friend in a coffee shop. She’s talking to her about a big problem she has (the problem your product or solution is perfect to solve). What is she saying? How is she describing the problem? Use those words in your copy. Note his choice of words: “best Sneetches on beaches.” Why did he pick that and not “most elegant Sneetches” or “elite Sneetches” or “in-crowd Sneetches”? “Good grief,” groaned the ones who had stars at the first. And this is, in fact, indicative of their mentality from day one. Would brag “We’re the best kind of Sneetch on the beaches. The most important thing to the Star-Belly Sneetches? To be “the best Sneetches.” McBean plays right to that. “My prices are low. And I work at great speed. We humans (and I guess Sneetches as well) are risk-averse. The idea of investing and losing is scary. The more sizable an investment, the more hesitant we are. Luckily the Sneetches figured that out for themselves. Here is a list of questions you should clarify before you test out any system so you don’t waste precious time on CRMs that won’t actually fit your needs. 1. Do you want any software stored on your local server (“On Premises”) or do you prefer everything to be “cloud” based (SaaS)? Having information stored on a local server gives you more control over the data and security management, and allows you to customize and integrate your CRM with other business applications. You will need an IT person to set this up for you. 2. How many employees will be using the CRM and are they actually able to use it? Many CRM systems provide free use for smaller companies, while others were designed to specifically take care of the needs of much larger companies and corporations. Make sure the CRM fits your company’s office culture. If your employees have to spend too much time feeding information into the CRM, or the layout makes it difficult to coordinate across departments, then the CRM is ineffective. 3. What features are you looking for in a CRM? Make a list of the functions you need, and check that the CRM you’re considering answers those requirements. What are the strengths and weaknesses of each company? How long has the company been around? Is the system able to grow with your company? How does the company handle customer service and assistance in setting up? Do they have an area of expertise (created for non-profits, tech companies, small businesses, etc.)? Do they have partnership or easy integration with other companies like Microsoft Outlook, Dropbox, Google Apps, social media, etc.? 5. How long does it take to implement? Some CRMs are quick and easy to implement while others may take a much longer time to set up and transfer all your current data. Think about when you want to implement your new CRM and how much time you can dedicate to doing so. Make sure to look at your company’s calendar for anything big that might take away from implementing the CRM. Cost is, of course, a big factor. Small, lightweight CRMs are relatively inexpensive and some are even free. If you are looking for a more app heavy CRM and you have a lot of employees, compare prices. All CRMs offer a trial period. Before you buy it, try it! See if you like the layout, if it’s easy to learn and manage, if it increases efficiency and transparency, and if it works well with the hardware you have in place. Okay, I am not going to lie. The Rolodex was already phasing out by the time I was old enough to even know what one was. But really, who wants to flip through cards to find a name, shuffle through address books, or even scan through an outdated excel spreadsheet? Is this really how you want treat your customers; like the old sweaters your Aunt Gertrude gave you that you only pull out when she decides to visit? 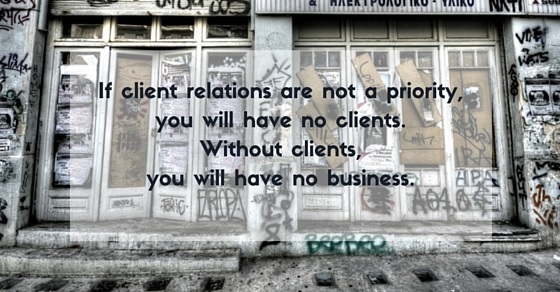 If client relations are not a priority, you will have no clients. Without clients, you will have no business. 1. Organize all your customers and leads – down to the last detail. It is not enough to have all your contacts saved in one place. You need details and categories for each client to really gain a full understanding. For example, categories like Customers, Lost Customers, Prospects, Suppliers, Partners, Potential Partners, Influencers and Inactive Customers. You could also consider dividing customers into A, B, and C customers depending on different customer programs for each segment. Furthermore, any notes that anyone in your organization should be aware of should be listed on their contact card. For example: Pays only in cash, prefers email, loves small talk and has three dogs: Moe, Curly, and Larry. Any employee who contacts the customer will be looking at his CRM card, immediately informed of any pitfalls or preferences. This enables your company to give a personal touch, no matter who is handling this particular interaction. 2. 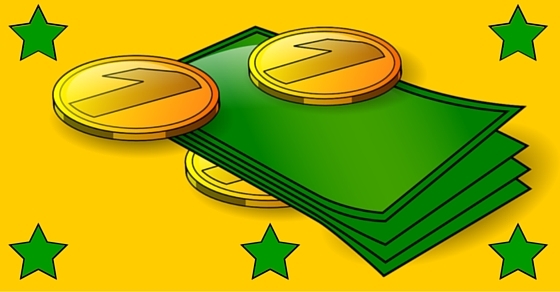 Track profitability and develop sales strategy. Put the right details in the right places, and your CRM system crunches the numbers for you, assessing value, tracking growth and decay, and identifying potential sales opportunities. You can see sales trends, target profitable client segments, and schedule follow-ups for your company previous customers. 3. Save your time and money. Although slightly more pricey than a Rolodex or address book, CRM technologies are inexpensive to purchase, and easy and inexpensive to maintain and administer. CRMs also reduce the need for manual and paperwork. You won’t need to hire as many people (or buy as many reams of printer paper). Lastly, every member of your staff has access to this database in real time, the information often making the difference between the sale that got made and the sale that almost got made. Think you might be ready to join the CRM nation? 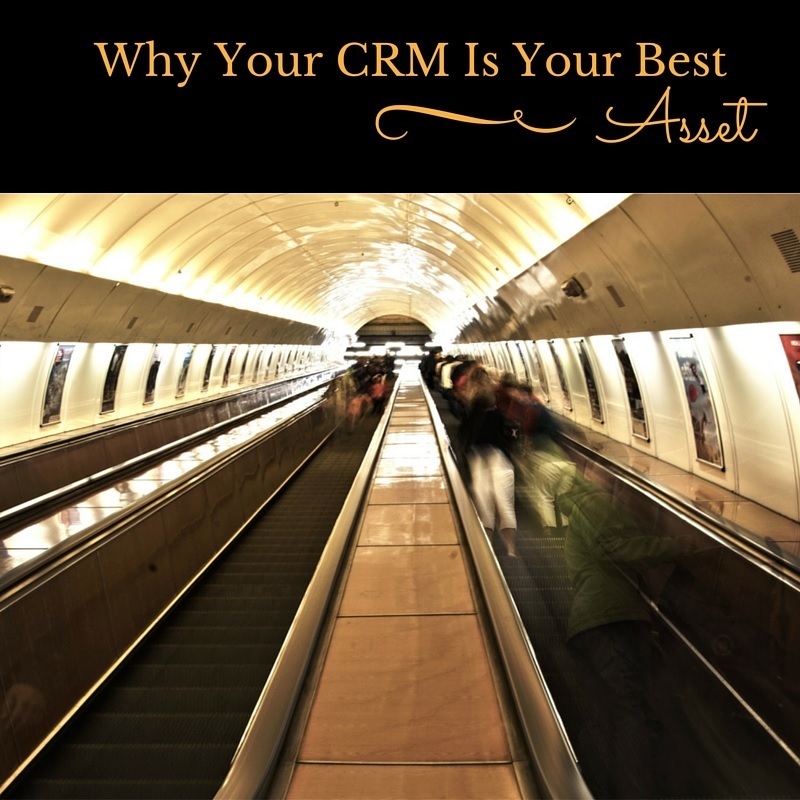 Stay tuned for my next post: how to choose the right CRM for your business.